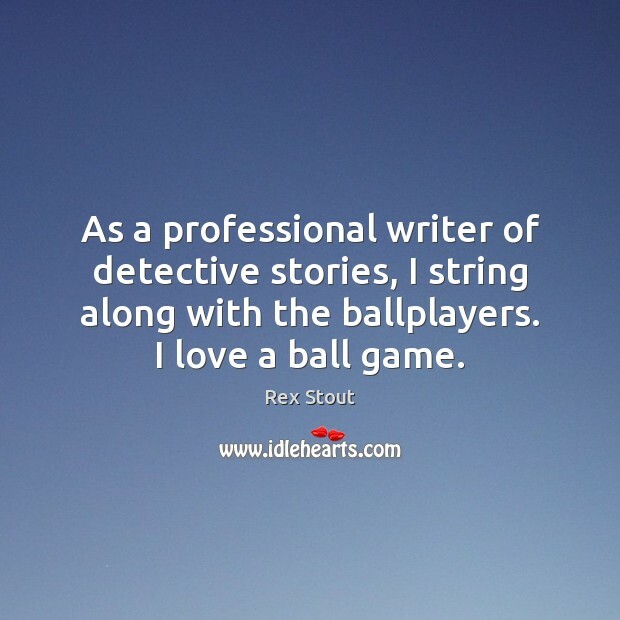 Quotations about Ball Game. Quotes to stimulate mind and drive action! Use the words and quote images to feed your brain inspiring things daily! 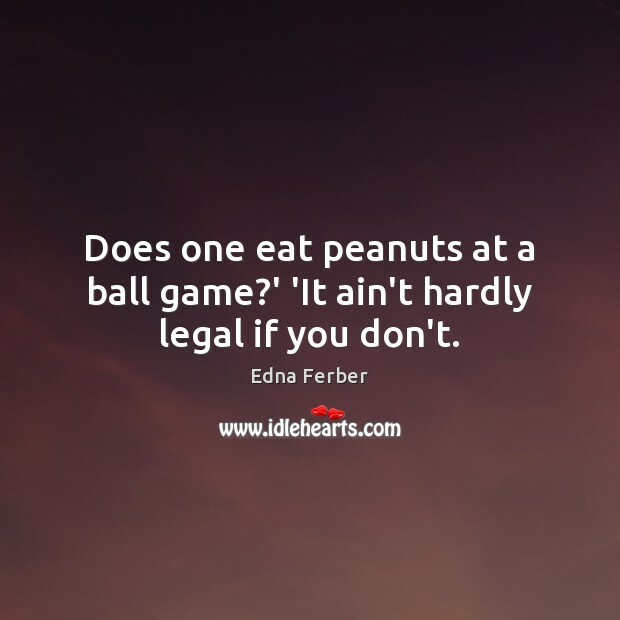 Does one eat peanuts at a ball game?' 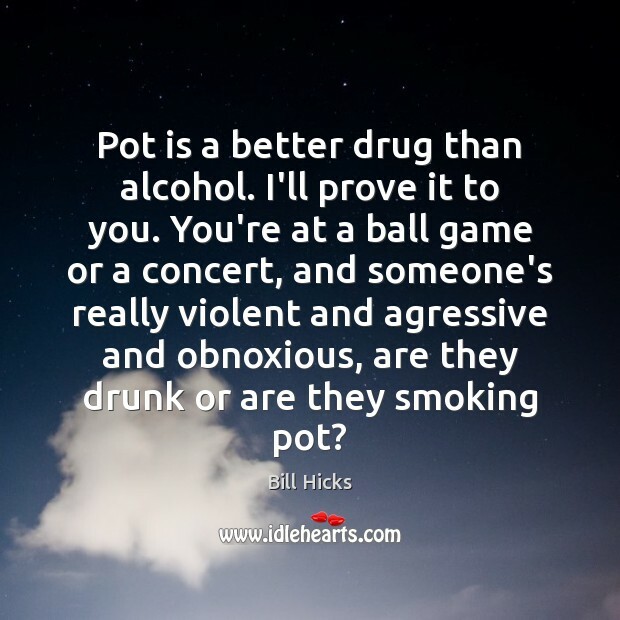 'It ain't hardly legal if you don't. 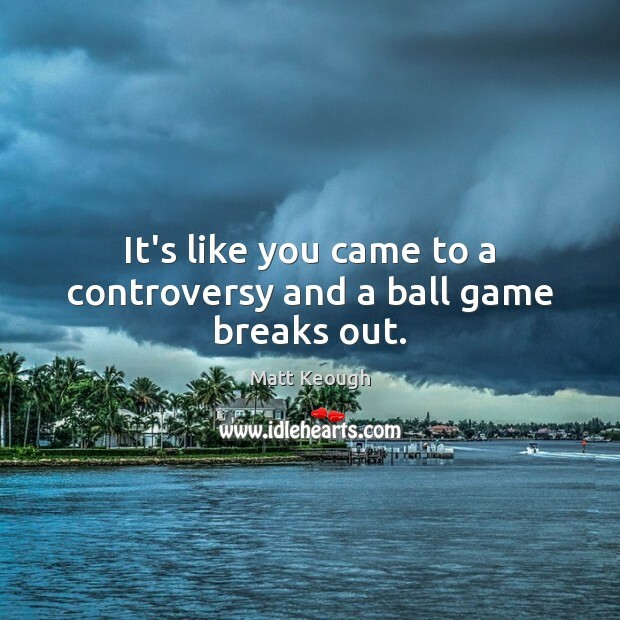 It's like you came to a controversy and a ball game breaks out. Common sense is the guy who tells you that you ought to have had your brakes relined last week before you smashed a front end this week. Common sense is the Monday morning quarterback who could have won the ball game if he had been on the team. But he never is. He's high up in the stands with a flask on his hip. 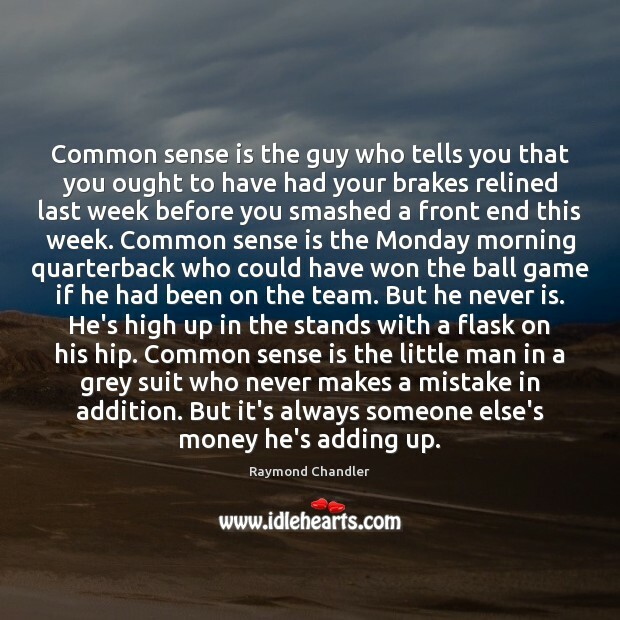 Common sense is the little man in a grey suit who never makes a mistake in addition. But it's always someone else's money he's adding up. 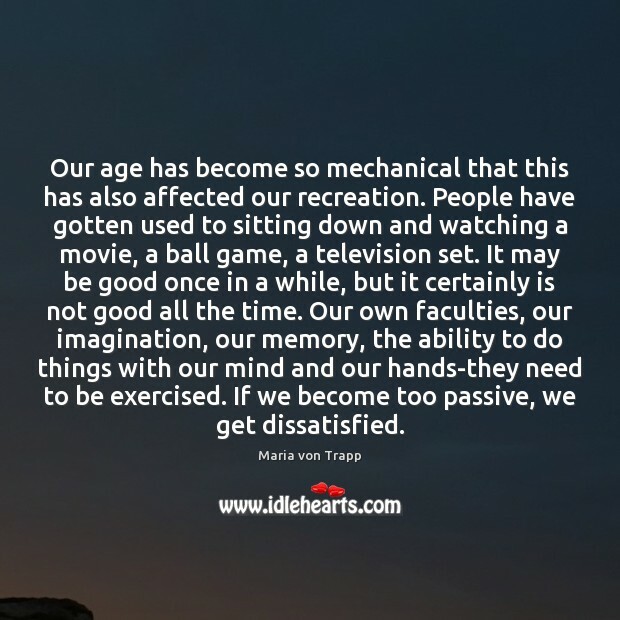 Our age has become so mechanical that this has also affected our recreation. 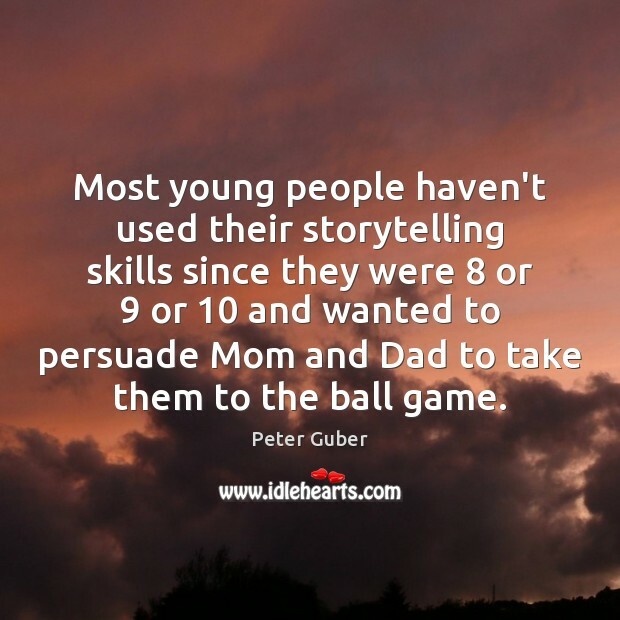 People have gotten used to sitting down and watching a movie, a ball game, a television set. It may be good once in a while, but it certainly is not good all the time. 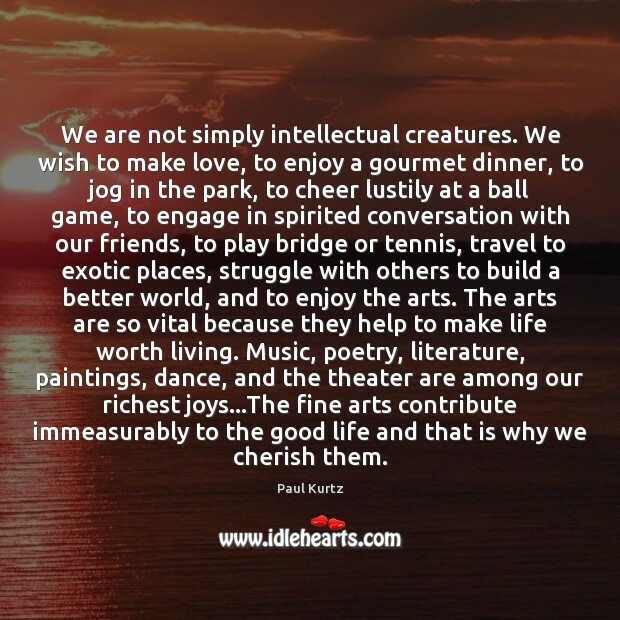 Our own faculties, our imagination, our memory, the ability to do things with our mind and our hands-they need to be exercised. If we become too passive, we get dissatisfied. 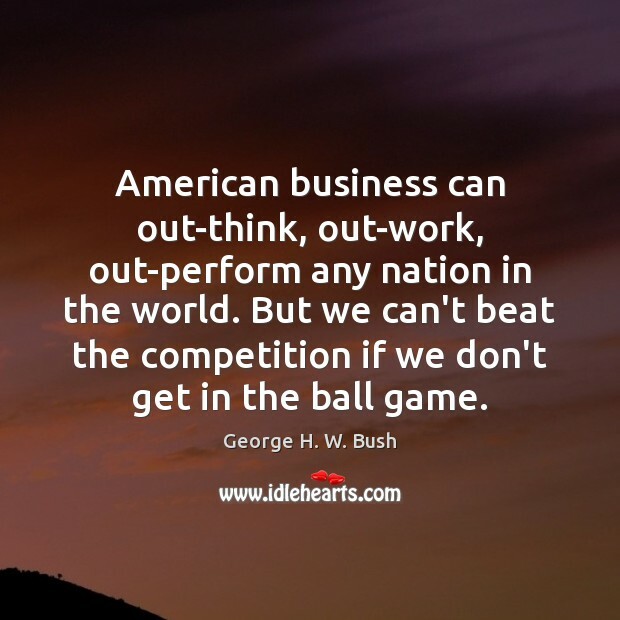 American business can out-think, out-work, out-perform any nation in the world. But we can't beat the competition if we don't get in the ball game. Acting is so much fun. It is a different ball game and I want to concentrate on that at the moment. I'm really passionate about what I do. I love entertainment and telling stories to people and I am very lucky that I am doing what I want to do. I'm mad at him, too, for being out late. 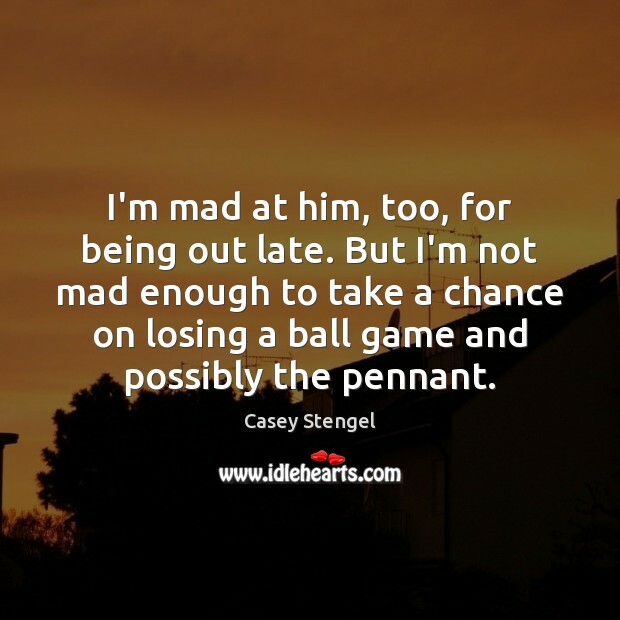 But I'm not mad enough to take a chance on losing a ball game and possibly the pennant. 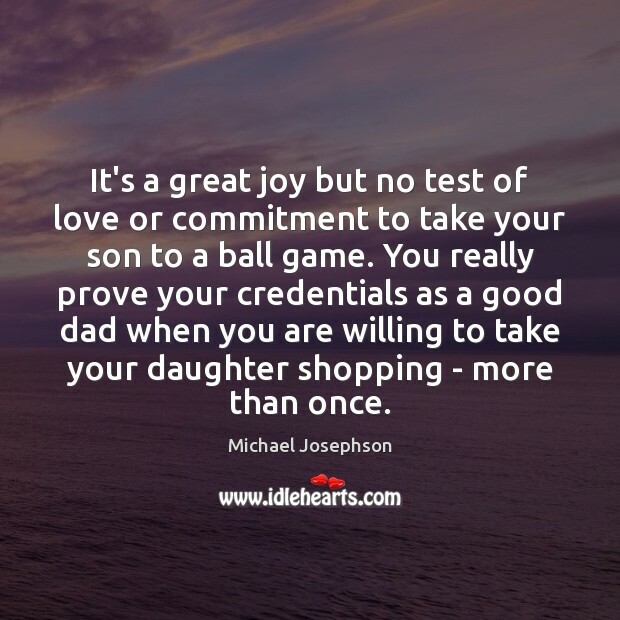 It's a great joy but no test of love or commitment to take your son to a ball game. You really prove your credentials as a good dad when you are willing to take your daughter shopping - more than once. Watching a ball game is one of the sweetest pleasures in the world. 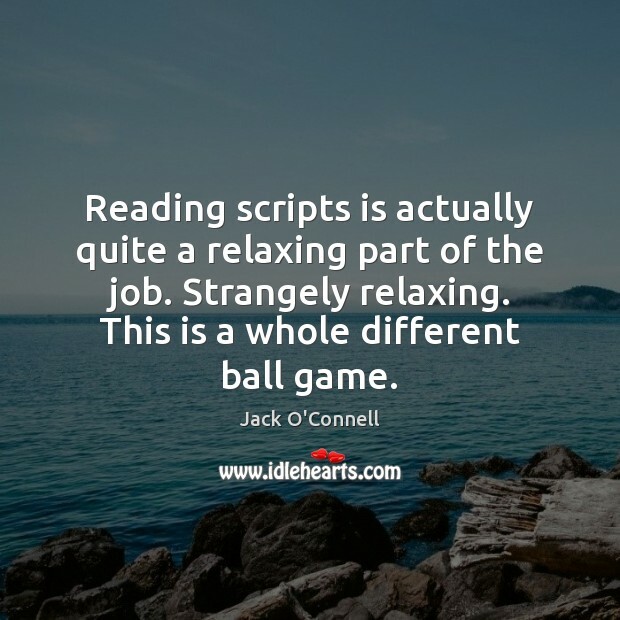 Reading scripts is actually quite a relaxing part of the job. Strangely relaxing. This is a whole different ball game. 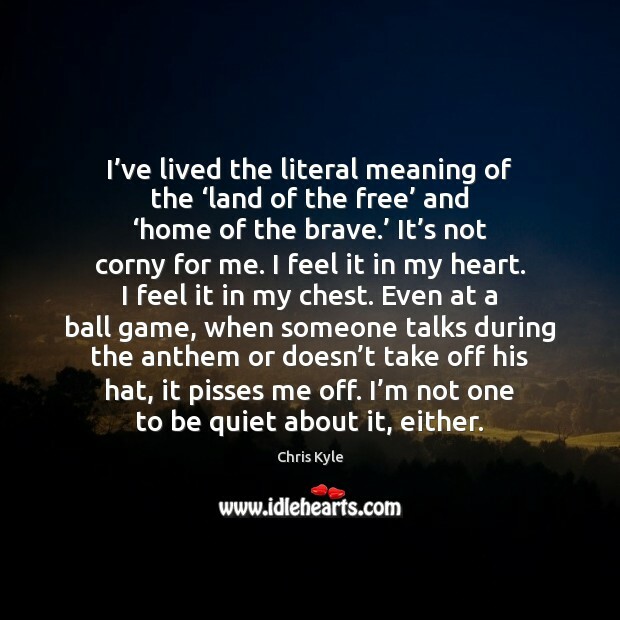 I’ve lived the literal meaning of the ‘land of the free’ and ‘home of the brave.’ It’s not corny for me. I feel it in my heart. I feel it in my chest. Even at a ball game, when someone talks during the anthem or doesn’t take off his hat, it pisses me off. I’m not one to be quiet about it, either. 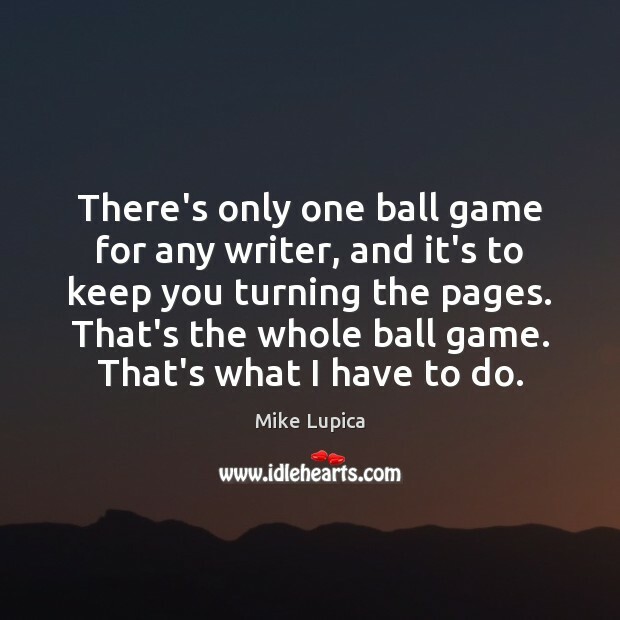 There's only one ball game for any writer, and it's to keep you turning the pages. That's the whole ball game. That's what I have to do.